UPDATE: Due to the forecasted rain, we will move the location to the Ugly Mug. 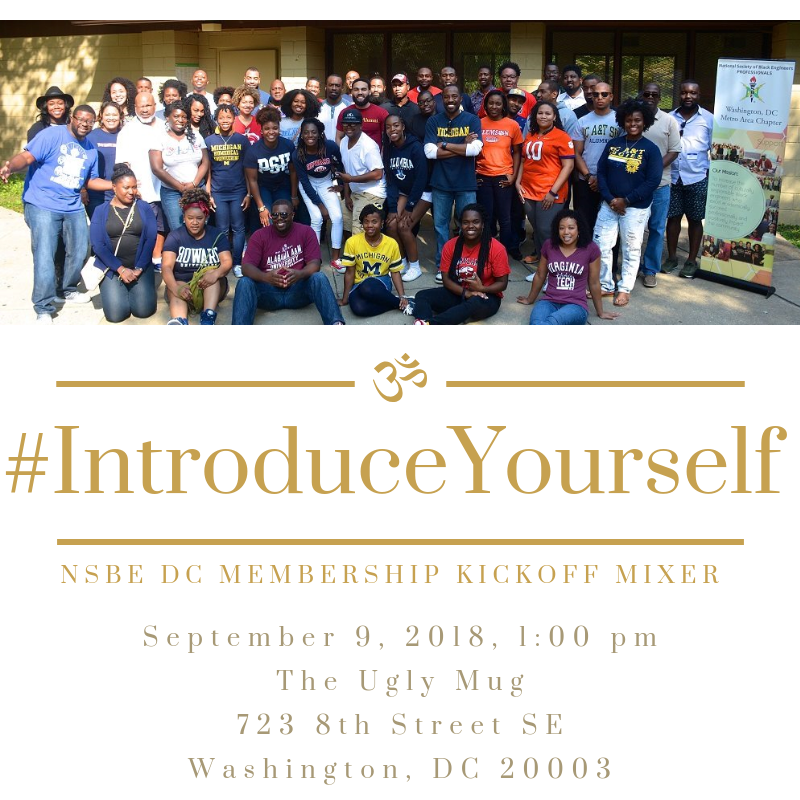 Celebrate with NSBE DC family and friends at the Membership Kickoff Mixer! Join us for a fun-filled afternoon of games, football, and good food! #IntroduceYourself to new and old friends! We'll have our own private space! The nearest Metro station is Eastern Market. Street Parking is available and free on Sunday. Free for NSBE DC members and kids under 13, $10 for members of other NSBE Professionals chapters and collegiate students, and $20 for adults. Join or renew your membership at the Mixer and get your admission reimbursed! Please email Jeovane Slater-Taylor at membership@nsbedc.org with any questions.